When considering the debate of sports drinks vs water, the water cures protocol provides a third answer. When you consider how good the third option is, you will wonder why this even an issue? Dehydration is considered a state when the body is loosing more water than it is taking in. Another way of putting it, dehydration occurs when water loss exceeds water intake. This is not totally accurate. If you drink too much water or drink it too fast or drink it without the essential electrolytes, not only can have negative effects on health, it can be deadly. We need water along with the electrolytes such as salt and potassium. 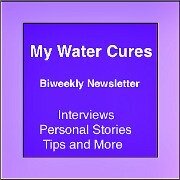 Many people do not know that water alone does not hydrate. We also need electrolytes to get the full benefit of the water. In the EU there is even a ban for the claim that water hydrates. Some said this was crazy. Actually it is true. Water alone can have a dehydrating effect. An added problem is the thirst dysfunction. It can happen in winter (bing off by as much as 40%) or because we are used to running on empty. Remember, when we drink water, the effect is the inhibition of the secretion of vasopressin or as it is also known as, antidiuretic hormone (ADH). 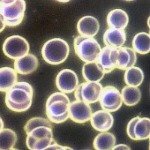 It is called vasopressin because it can shrink small blood vessels. 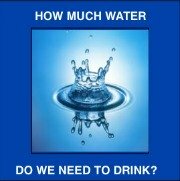 It is called ADH as it helps keep the water in when we are in a state of lacking water. When we get water, it sends out the signal to let the excess water go. With ADH, there are two primary functions: keep water from leaving the body when there is a lack of water and making blood vessels smaller when there is a lack of water (making them work like there is more water). ADH helps maintain hydration by causing the body to reabsorb water in the kidneys. When ADH helps the blood vessels get smaller, it usually increases the blood pressure. It doesn't just regulate water. It also regulates glucose and salts in the blood. Interesting Side Note: Most of the AVP is used in the bloodstream. Research suggests that some AVP may enter into the brain. As such, it plays a role in social actions, sexual motivation, pair bonding, and the maternal stress responses. 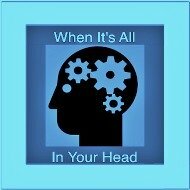 Proper hydration plays a role in more complicated aspects of our health and mental wellness. The invention of the modern sports drink goes back to 1965. This is when the medical team or the University of Florida Gators created what is today called Gator Aid. It became famous in 1991 when it was marketed to the masses. Gator Aid is not the only sports drink in the market place today. There are over 150 commercially produced enhanced drinks designed for sports participants and enthusiasts. Do they work better than water? The quick answer is yes but they work better at a cost. I you are working out in extremely hot conditions or extremely cold conditions, for longer than 60 minutes or doing high intensity workouts, then you especially need more than just water. 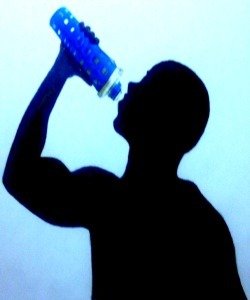 The reason the sports drinks work better is the combination of electrolytes and carbohydrates. The part of salt called sodium (of sodium chloride) helps the water get into the interior most parts of the body down to the cells. One difference with the Water Cures Protocol over the sports drinks is that when dissolving the salt in the mouth, there is a faster uptake so that the salt gets into the blood faster. Once in the blood, the water is more easily absorbed and shared with the rest of the body. Many professionals suggest sipping small amounts of water during workouts. This is to prevent hyponatremia, a condition that results from drinking water in the absence of salt. The salt is in effect washed out, creating a life threatening condition. When drinking large quantities of water without salt first, the body gets the signal that excess fluid is present. It works to release or get rid of the excess water. When the body is dehydrated, anti-diuretic hormone (vasopressin) is released. This causes the kidneys to conserve water. When in a state of water conservation, the urine is concentrated and less water is released. Vasopressin also can cause vasoconstriction. When this happens, the blood pressure increases. This is the connection between drought and high blood pressure. 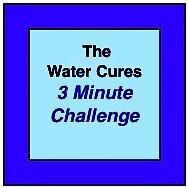 When drinking a lot of water with out salt dissolved in the mouth, the signal is that there is excess water. The vasopressin is blocked and the signal is given to let the water go. Along with the water that is going out is some of the salt released by the kidneys. The end result, even less salt in the body. Traditional sports training thinking requires the provision of up to 20 grams of carbohydrates and 80-110 mg of sodium per 8 ounces of water. This would be about 4 1/2 spoons of sugar and 1/16th of a spoon of salt. This treats the sugar as the energy source. We disagree. Our research is indicating that this is backwards. Sports drinks include about 1/16th teaspoon of table salt in each 8 ounces of water. This is about 80-110 mg of sodium. Refined Sugar or white sugar is entirely carbohydrates. 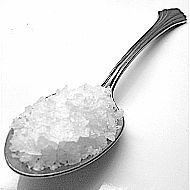 One teaspoon, or 4.2 grams of sugar, contains 4.2 grams of carbohydrates. Brown Sugar is provides slightly more health benefits with less carbs than white sugar with 2.9 grams of carbohydrates. Turbinado is not truly raw since it is processed. It is what is left after raw sugar cane juice has been stripped of the natural molasses, vitamins, minerals, trace elements and other impurities. Sucanat (an abbreviation for sugar-cane-natural) is dehydrated sugar cane juice. Sucanat has all the nutrients found in sugar cane juice, including iron, calcium, vitamin B6 and potassium. 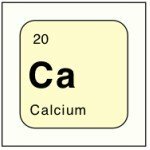 Some scientist consider the nutrients in sucanat as being nutritionally insignificant. The flaw with sports drinks is that they fail to address the most basic human body need. In "Rehydration after exercise in the heat: a comparison of 4 commonly used drinks." When it comes to sports drinks vs water, what if there was a better way? Dr. Batmanghelidj proposed that water provide hydroelectric energy. To tap into water as an energy source, the body would have to have access to more water. To get more water to the cells, there would be a need for additional salt. 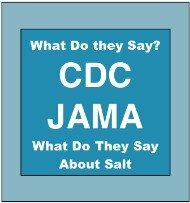 According to Dr. Michael Alderman, in a healthy body, if we take in too much salt, the body will expel the excess. Many athletes using the water cures protocol for athletes use about 1/8th to 1/4 tsp of unprocessed salt in 8 ounces of water. How much depends on our body and personal needs. Some need more and some need less. It should also be noted that this is in addition to the regular water cures protocol that should be followed on a daily basis, before and after any athletic performance or workout.